Mainland Chinese transacted 4 in 10 condo purchases. The cooling measures have indeed eased demand from foreign buyers as condo sales transactions by Singapore permanent residents (SPRs) and non-permanent residents (NPRs) both crashed 15.2% and 20.9% to 3,225 and 1,212 units, respectively, according to report by Edmund Tie & Company (ETCo). 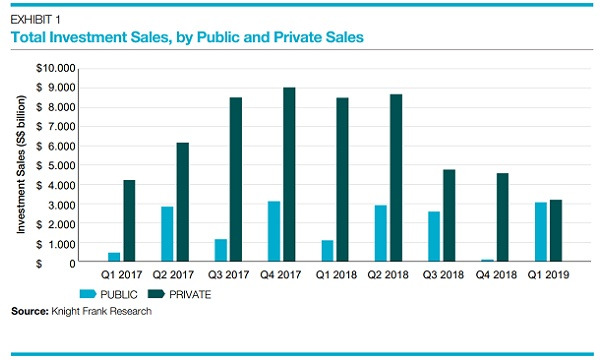 “The number of properties acquired by foreign buyers in H1 2018 was similar to H2 2017. However, purchases by both SPRs and NPRs dropped significantly by more than 32% in H2 2018 compared to H1 2018,” ETCo said. According to the research firm, the proportion of condo purchases by SPRs and NPRs fell 16.7% and 6.3%. 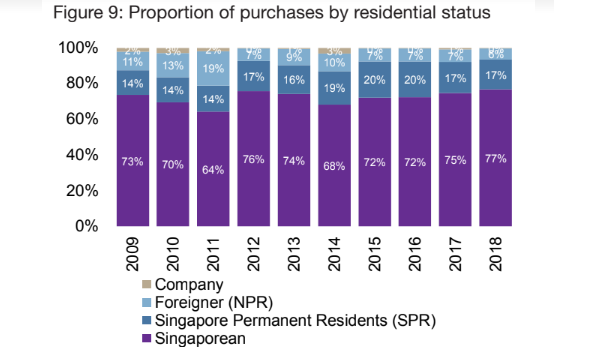 In terms of nationality, mainland Chinese transacted 4 in 10 condo purchases to NPRs, followed by Indonesia (10.9%), USA (8.5%), Malaysia (4.5%) and India (3.8%). Transactions per nationality have recorded declines, led by the 64% decrease to 55 units in transactions made by Malaysian buyers. This was followed by transactions by Indians which crashed 35.2% to 46 units, purchases by American buyers which fell 27% to 103 units, and Indonesian and mainland Chinese buyers whose purchases dropped 10.7 and 9.3% to 133 and 485 units, respectively. “Besides the cooling measures, the Singapore dollar has generally appreciated against these countries’ currencies in 2018 (except for the US dollar), making Singapore properties relatively more expensive, especially against the Indonesian rupiah and Indian rupee, which were two of Asia’s worst performing currencies in 2018,” the research firm said, noting that the cooling measures could continue to shrink demands from SPRs and NPRs in 2019. ETCo noted that like Singapore citizens, SPRs are lured to mass market projects in the OCR and RCR due to their more affordable prices. They noted that top selling projects for SPRs include the Riverfront Residences, The Tapestry, Stirling Residences, Twin Vew, and Parc Esta. Despite the property curbs, ETCo said that Singapore remains an attractive place for foreign buyers as it is perceived as a haven for political stability, stable currency and low tax regime. “Furthermore, the high-end segment is considered attractive from a valuation perspective when compared to similar Asian gateway cities such as Hong Kong and some major Chinese cities,” they explained.